With a new Super Smash Bros. 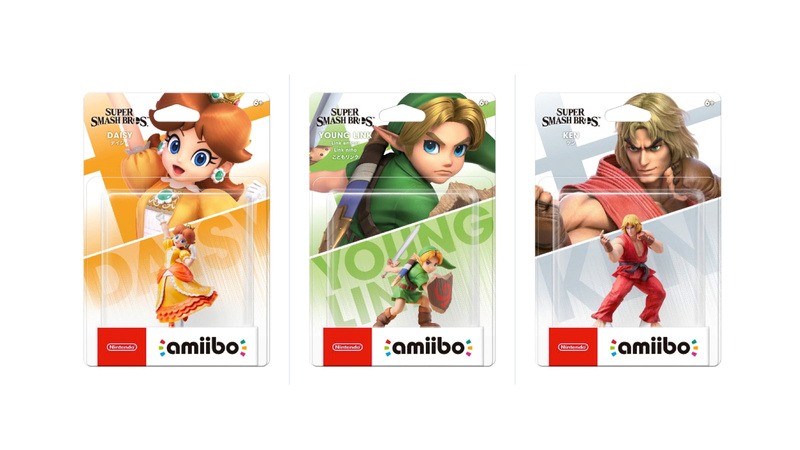 Ultimate comes with it a raft of new amiibo. Nintendo's pulled no punches here either, with a physical toy version of every single new fighter in the latest version of Smash. The next wave of brawlers to be made available for preorder are Young Link, Ken and Daisy, and they all look rather lovely indeed. This delightful trio of amiibo will be made available on 11th July, so pre-order today and avoid disappointment. 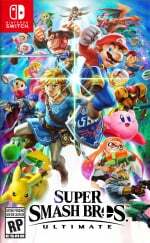 So far, we've only got pre-order options from two UK retailers, however, we'll update this guide when more options become available, especially in North America. Young Link is a character in the Legend of Zelda series, though only named Young Link in the Super Smash Bros. series and Hyrule Warriors. The character is Link as a young child, in case that wasn't obvious. Which of these new amiibo is your favourite? Planning on getting one? How about all of them? Let us know all about your crazy amiibo addictions in the comments section below. I wonder if they're already up for pre-order here in Mexico. I really need to pick up the street fighter amiibos. I preordered Ken. I don't like the Link and Daisy ones, sorry sorry. So according to this article you can only buy these at Amazon or Game in the U.K...pretty sure there are other places too,but I guess Nintendo life does not have an advertising deal with them. PreoOrdered day one NA release. Hold outs will pay bloodmoney for Daisy when inventory is none to be had. Not trolling fella,but two guide/adverts in one day is pushing it a bit far in my book. Not really into collecting these, but I wouldn’t mind having the Daisy Amiibo. Young Link is gonna fly, Ken and Daisy are gonna be on stock till Smash 6. @Anti-Guy Pretty ironic when we know that the Daisy amiibo was the only one that got out of stock less than one day after being available! If stocks remain until Smash 6, it will be because of high demand in fact!